Ayurveda is a philosophy of health care believed to have originated around 4500 BC and was first documented in 2500 BC. To rejuvenate mind, body & spirt we invite you to take a 3 week tour & Ayurvedic retreat in India. Rani Holistic Health Center is one of the few centers in the United States dedicated to the art of Ayurvedic healing, not just the physical body, but the mind and spirit as well. Rani Holistic Health Center was established in 1996 in Indiana, and is run by Dr. Rani M. Pargaonker, who has over 30 years experience, with a medical degree from Poona University in India, as well as a Bachelor of Ayurvedic Medicine and surgery degree. Dr. Rani, along with her associates, has opened the only true Ayurveda clinic in the Midwest area. The center is designed to meet the growing demand for alternative medicine and offers Herbal Nutrient Supplements for many of the common health problems plaguing us today: Depression, Menopause and PMS, Weight Control, Arthritis, Chronic Fatigue Syndrome and Male Rejuvenation. These supplements are organically grown and packaged in India, with a strong emphasis on quality control. Workshops in stress management and classes are available, as well as, Massage Therapy, Reiki, Regression Therapy and Hypnosis, Panchakarma treatment, and Meditation. Dr. Rani is also available for lectures. Call us to make an appointment at (219) 769-0586. Rani International is continually focused on developing new research based on products and therapies which are connected with the Ayurveda Research University in India. Part of a comprehensive lifestyle management program, Herbal Nutrient Supplements and treatments are intended for preventative and curative health treatment to be dispensed through a consultation process. 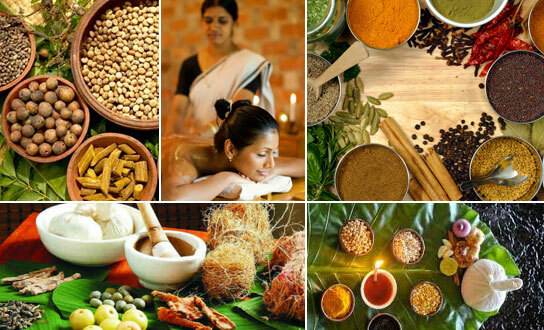 Ayurveda-based products and therapies emphasize natural ingredients and holistic therapeutic treatment. All products are organically grown herbs and plants, packaged on site in India, and are designed to meet a growing community demand for alternative medicine. This is the basic and essential evaluation in Ayurveda. Ayurvedic Consultation allows an Ayurvedic Physician to determine your unique body make-up and specific problems as well as make recommendations. This is the starting point for comprehensive and continuing Ayurvedic therapy.